We don’t want you to miss out on a second of the action this World Cup season (whether that’s for one or all 64 games). Read on to find the best spots in the city to watch the beautiful game, bev in hand. Handily located on one of the city’s most bustling streets, at The Cavendish you can catch the World Cup matches on its HD projector (and 10ft screen) – it’s also equipped with beer garden for cooling off after the match. Put this all together and you’ll find it hard to leave for the next month. Head to The Cavendish on Facebook or call the number above to book your table! For many, it’s their first port of call for top coverage of all things sport. The Common Room may soon become your happy place for the next 32 days too. With big screens, pool tables (for when you need some distraction from shocking performances), bar and of course food, it’s got your back, even when your team doesn’t. Fill in your World Cup bingo card to win in house prizes and maybe even a free private pool area and Red Bull party package too! Check out it’s Facebook page for more on its food and drink deals, game coverage and to book your table. A little more tucked away, this gem can be found behind the Cathedral and will be showing all England games on its 55” screen TV. Conveniently, it’s happy hour will be running throughout most early evening matches (4-8pm – an extra hour than usual!) and includes glasses of wine from £3 and pints of lager from £3. Margherita Mondays (£5 margherita pizza), Wine Wednesdays (any two pizzas and a bottle of house red, white or rose wine for £20) and Fizz Fridays (bottle of fizz for £10) will also be in full swing during the early evening World Cup fixtures. If there’s a game you’d fancy watching at Craft & Dough, let them know, and they’ll see what they can do! With three new screens up and running at the bar and smokehouse on West Street, Firepit will also be offering a footie feast. 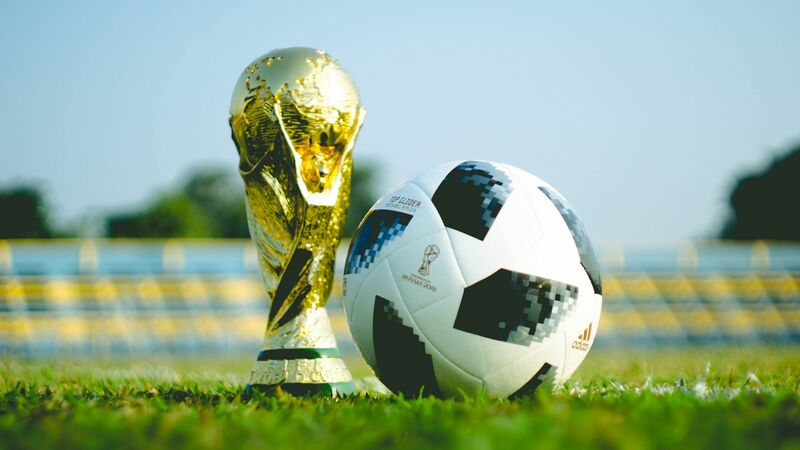 Its £5 bespoke World Cup menu will keep you well fed throughout the fixtures, and pints of Amstel and Heathen are £3, with a bottle of house wine only £10 (that’s a winner in our eyes). Make Firepit your destination for the foreseeable future (/keep everyone happy with it’s knock-out grub while you keep an eye on the game), and book your table today. Be a part of the action as it happens at the Genting Casino sports lounge this World Cup Season. With ultra-high definition screens offering unparalleled views of the match, as well as award-winning food from its restaurant, Fahrenheit, plus three bars, you’ll need a pretty good excuse not to watch here. At a stone’s throw from the station, The Graduate will be the place you’ll need when your train is delayed and you’ve not got time to make it home (oh no, I’ll have to stay at the pub just in case I miss something). With speed-quizzes before matches, plenty of footie-themed games and a raffle with all money raised going to Sheffield Children’s Charity, The Graduate pub opposite the library’ll sort you out. Showing all the England games on 15 (yes, you did just read 15) screens with free entry and free raffle with prizes including gig tickets and beer, The Leadmill really have outdone themselves this year. If that wasn’t enough, you’ll also be able to get four Redstripe or Strongbow for £12 at every game. Perched on the edge of West One Plaza, you'll find Revolution Sheffield showing all matches across its two projectors. It'll also be running an extended happy hour from 12 until 9pm every day, with an additional two-for-one offer on Corona beers. On match days you'll also receive 25% off your food bill too! Result! Showroom will be projecting all England matches (however many that may be) on to a 10ft screen in the bar this season. It’ll also be offering four sharing plates (think nachos, garlic bread, mac ‘n’ cheese balls, salt and pepper squid) for £12. If for nothing else than the good grub deals at Showroom, keep your fingers crossed that the lads stay in it for long enough! Across two big screens and 14 TV screens, Yates will of course be showing the big game (hopefuly games). It'll also be serving eight-pint beer or cider towers throughout the night, meaning you and your mates won't miss out on a second of the action, as you'll be able to serve yourself at your table. Prices vary, so ask at the bar for these. You'll also receive table service throughout, giving you no excuses when it comes to missing that nail-biting last penality. To book your table, call the number above, or go online at www.weareyates.co.uk/sheffield/party-booking. As always, we’d love to hear about what you get up to in the city centre after 5pm. Use #SheffAfter5 in your tweets and photos to share!